Learn about Notre Dame Academy, our rich history, and our present news! Visit us, and see why Notre Dame Academy is right for you, and your daughter. Notre Dame Academy is the only independent Catholic college preparatory school for young women in Central Massachusetts. From our clubs to our athletic programs there is something for every student who wants to make the most of her NDA experience! Service to others is central to our faith tradition and our philosophy of an education that develops the whole person. At Notre Dame Academy, the arts are an integral part of the curriculum – an essential ingredient in a fully rounded education. The NDA Rebels represent an athletic program that exemplifies superior sportsmanship and teamwork. With your support, NDA will continue to change the lives of students today and tomorrow. Our multi-media library holds over 12,000 volumes and a state-of-the-art reference network. Provides access to the Boston Globe Newspaper. Brittanica School is the standard encyclopedia. Three different levels are available. digital media content. NEW!! eLibrary Curriculum Edition now includes Special Collections for Literature and History! Make slideshows that link to eLibrary articles, images, websites, and more. eLibrary Science takes students beyond textbooks with enriching multimedia experiences. A database of encyclopedias and specialized reference sources for multidisciplinary research. These reference materials once were accessible only in the library, but now you can access them online from the library or remotely 24/7. For home access use the same button. For a short video on using Google Drive with your Gale resources, please click here. ipl2 is a merger of the Internet Public Library (IPL) and the Librarians' Internet Index (LII). This is a great place for additional information for research and other projects. Access the Sr. Justina Daley Library catalog (Alexandria Researcher) from both school & home here. Work on multiple projects, save citation information, make note cards, organize your thoughts. Use a school computer to create an account with your first and last name, an e-mail address, and a password. Once you create an account, you can access your information from any computer--here, home, the public library, even a friend's house. 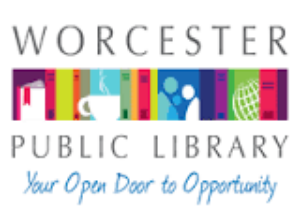 Access the Worcester Public Library resources through your Worcester library card. For those students living in the surrounding towns, your library card gives you access to your local library's resources. For students of French, World Book's Encyclopedia Decouverte. For home access click HERE.